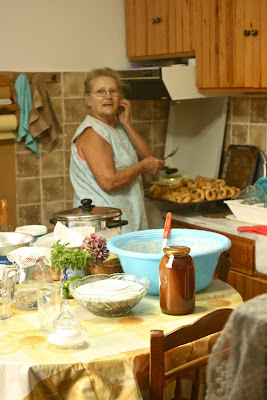 Greek women have a distinct finesse in the kitchen. Where as the French cook "au pif", Greek cookery is anchored to an innate connection between the food, the hands and the heart. Saying that the woman's work seems effortless would be a severe understatement. They create gorgeous meals that could sustain a small Spartan army, without ever seeming frazzled or pressed for time. I wish I could translate a fraction of that culinary serenity into my own kitchen. 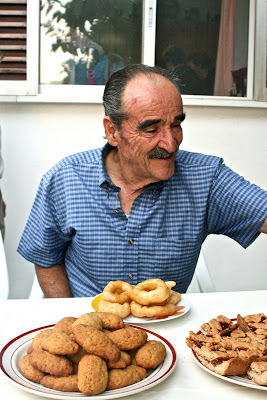 One thing I did not get when I was in Greece was an original family recipe for Loukoumades. I know! I'm sorry...I'll hunt one down. 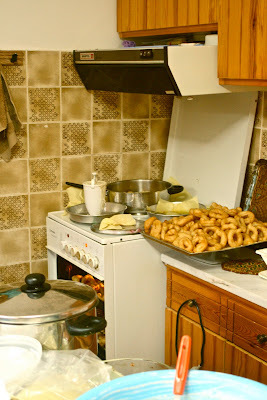 In the meantime, I'll direct you to a fantastic Greek food blog Kalofagas: Greek Food & Beyond, written by Peter Minakas. He has a fantastic recipe for Loukoumades. Give it a go and tell me what you think. Enjoy! I love these!! I used to eat them with my Yaya when I was little.